When it comes to optimal battery performance, don’t settle for second best. 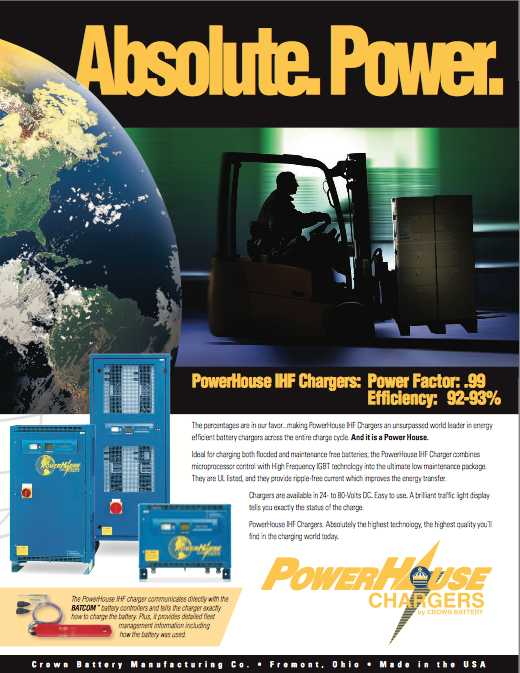 Leading the charge on energy efficiency, PowerHouse IHF Chargers are loaded with user-friendly features that create the ultimate low maintenance package. Make your and your battery’s lives easier. Fill out the form to get the specification sheet.